Employees of PJSC Commercial Bank Khreshchatyk, acting as an organized criminal group, stole funds from 54 depositors totaling more than UAH 81 million UAH, according to officials. A pre-trial investigation, overseen by the prosecutor's office in Kyiv, was completed as part of a criminal case against 16 officials of the Kyiv regional branch of PJSC Commercial Bank Khreshchatyk, who are suspected of being involved in a criminal plot to steal money from the financial institution, according to the press service of the Kyiv city prosecutor’s office. The prosecutors revealed that bank officials, acting between February 2010 and March 2014, forged deposit agreements and documents for the issuance of cash, stealing more than UAH 81 million UAH. "Based on the results of the investigation, former directors and officers of the bank’s regional branch (a total of 16 people) were handed over," as part of the investigation, reads the statement. Read alsoDeposit Guarantee Fund starts liquidation of Khreschatyk BankIn a bid to provide compensation to those who lost their money, the properties of bank employees have been confiscated, including apartments, houses and land, according to the prosecutor's office. 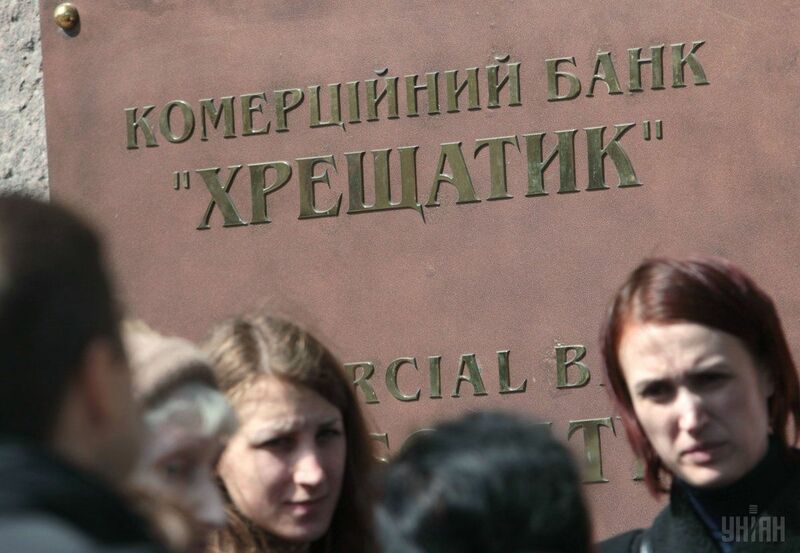 As UNIAN reported earlier, on April 5 the National Bank of Ukraine declared Khreschatyk bank to be insolvent. The Individual Deposit Guarantee Fund then took over the temporary administration of the bank. Later, the National Bank forwarded to law enforcement officials data that pointed towards a possible criminal conspiracy among the bank’s employees.